Womens 6 oz. 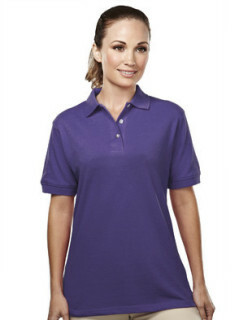 60% cotton/40% polyester short sleeve pique easy care golf shirt. The Accent features three horn buttons set in a reversed placket. Accented with a square bottom with side vents.